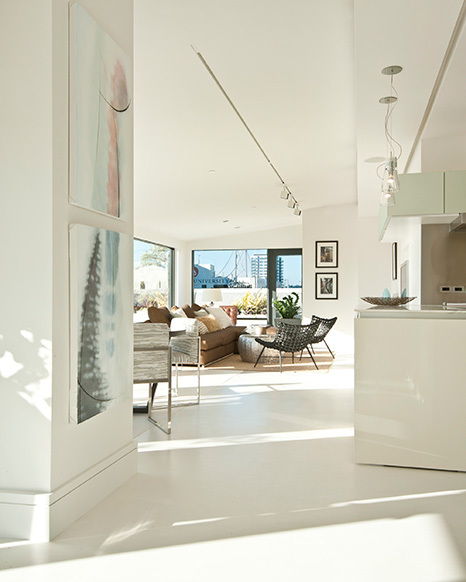 Space blends into functional art in this modern, contemporary home. Integrated technically throughout, the whole home can be controlled through a cell phone or computer. 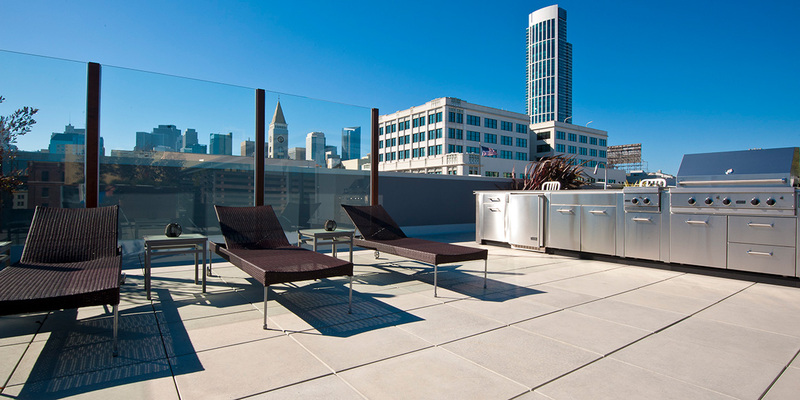 A 4,000 square foot rooftop, with a complete Viking Kitchen, beckons outdoor entertaining and admiration of the San Francisco skyline. The South Park home captures the essence of modern design: floating surfaces, geometric levitation, and the use of light to draw the living areas together. Citidev added additional touches to the home as a way to tie together the contemporary with the natural. 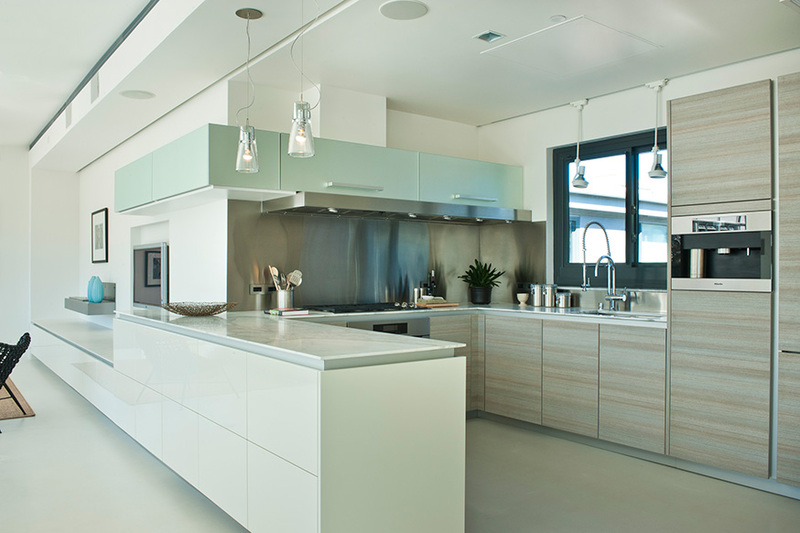 Heavy, solid fixtures give the home a feeling of impenetrability – yet approachability – through the use of light colors. 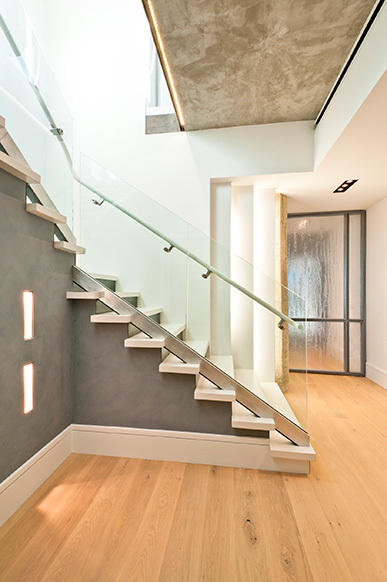 Rustic, open-knot flooring, matte finishes, recycled glass tiling, and lava stone juxtapose with the stainless steel finishes, white Ardex floors, and structurally blended heavy glass doors. 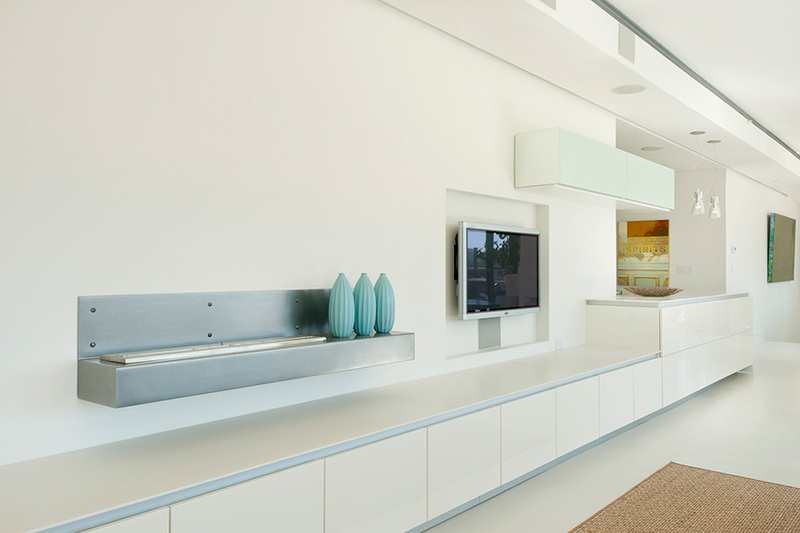 The finest technology and highest quality materials, including Blu Bathworks fixtures and Miele appliances, round out the home to give it a highly functional, comfortable living environment.